Ms. Sharon Rowe is a resident of Lewisburg, West Virginia. Ms. Rowe has served on the Foundation Board of Directors since its inception. 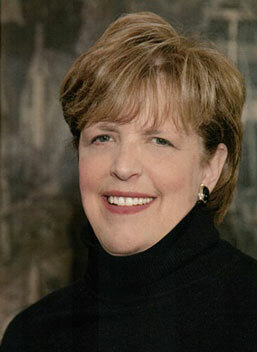 She retired as Vice President of Communications of The Greenbrier Resort and Club Management Company in 2005 after 27 years of service at The Greenbrier. She is currently a consultant and an alumna of West Virginia University. Ms. Rowe is a past chair and former member of the Board of Governors of the West Virginia School of Osteopathic Medicine. Ms. Rowe is a director emeritus and former chair of the Education Alliance. Her other current directorships include Hospice Care, the Greater Greenbrier Chamber of Commerce (past chair), Visiting Committee of the West Virginia University Cancer Institute, The New River Community and Technical College Foundation, The Clay Center for the Arts and Sciences, The Harless Center at Central Place and the Advisory Board of Greenbrier Valley Theatre. She is a Paul Harris Fellow, member and past president of the Lewisburg Rotary Club. Ms. Rowe serves on the Boards of City Holding Company and City National Bank and the General Lewis Hotel Corporation. She also serves on the Leadership Team and as chair of the Administration Committee of the Presbytery of West Virginia. She and her husband, Judge James J. Rowe reside in Lewisburg, West Virginia.